This Military Service Page was created/owned by MAJ John Moore (SaberAlpha 10) to remember Williamson, Ellis W. (Butch), MG USA(Ret). Major General Ellis W. Williamson died Jan. 28, 2007, at the age of 88. His 40-year Army career included service in World War II, Korea and Vietnam. 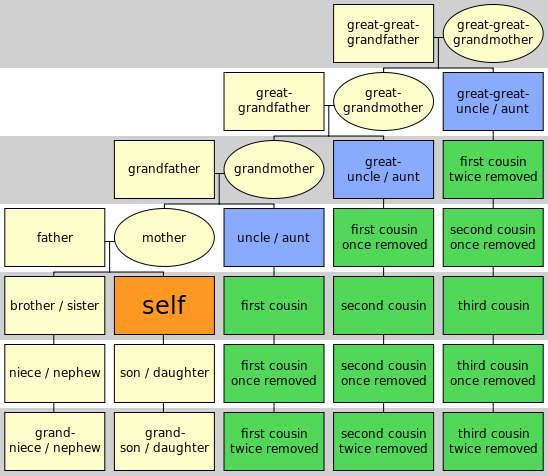 He is survived by Margaret, his wife of 64 years; a son, Dan E. Williamson Sr. of Pineville, Missouri; a daughter, Nan V. Williamson of Clyde, North Carolina; two grandchildren, Dan E. Williamson Jr. of Stephenville, Texas, and Christina L. Franklin of Ft. Worth, Texas; and four great-grandchildren, Holly, Wesley, Christopher and Danielle Franklin of Ft. Worth, Texas. Born in Raeford, North Carolina, he grew up and went to high school in Raleigh, North Carolina. He served in the North Carolina National Guard during high school and college. He graduated from Atlantic Christian (now Barton) College, Wilson, North Carolina, in 1940 and was commissioned a Second Lieutenant. Highlights of General Williamson's military career include participation in the D Day landings with the 120th Infantry Regiment, and service in the European theater where he commanded at the platoon, company, battalion and regimental levels, earning temporary promotions through the rank of Lieutenant Colonel. In 1950 he was on the planning staff for and participated in the Inchon Landings in Korea, and subsequently served on the X Corps staff. Following instructional and staff assignments in the United States, he assumed command of the 13th Infantry Regiment at Fort Carson, Colorado, and took the Regiment to Germany. In 1959 he became an army paratrooper. Promoted to Brigadier General in 1963, he organized the 173rd Airborne Brigade (Separate) on Okinawa and took the Brigade into Vietnam in May of 1965, becoming the first United States Army ground combat unit to enter the conflict. 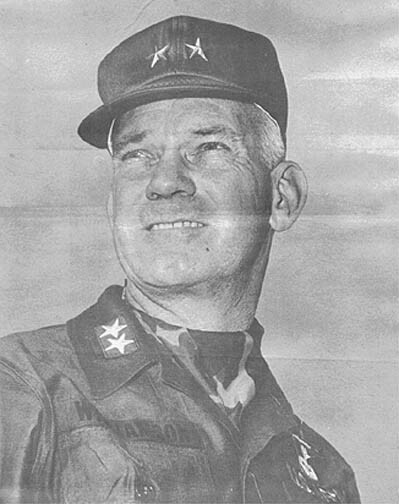 In 1966 he became Assistant Commandant at The Infantry School, Fort Benning, Georgia. Subsequently he was promoted to Major General and assumed command of the U. S. Army Training Center at Fort Polk, Louisiana. In 1968 he returned to Vietnam, commanding the 25th 'Tropic Lightning' Infantry Division. His military education included basic and advanced courses at the Infantry School (1942-43), the Command and General Staff College (1950), the Armed Forces Staff College (1953), and the National War College (1960). He was granted a Masters degree from the Graduate School of Business at Harvard University in 1962 and a Masters degree in International Affairs from George Washington University in 1963. Major General Williamson numerous decorations include the Distinguished Service Cross, the Distinguished Service Medal (2 OLC), the Silver Star (5 OLC), the Legion of Merit (OLC), the Bronze Star Medal (3 OLC), the Distinguished Flying Cross, the Air Medal (28 OLC), the Purple Heart (4 OLC), the Combat Infantryman Badge, the Master Parachutist Badge and Army Aviator Wings. He was designated Chief of the U. S. Military Mission in Iran and Personal Advisor to the Shah of Iran in 1971 and subsequently retired in 1973. Following retirement, he continued his life of service to the community, participating in a variety of military and civilian non-profit community activities. Ellis W. "Butch" Williamson, 88, a retired Army major general who served in World War II, Korea and Vietnam, died January 28, 2007, of pneumonia at Goodwin House in Arlington County. He was a longtime Arlington resident. General Williamson participated in the D-Day landings in Normandy in World War II and the Inchon landings in the Korean War. He held high-level posts supervising troop training and, from 1971 to 1973, was chief of the United States military mission to Iran. In 1963, General Williamson reactivated the 173rd Airborne Brigade, which had begun as an infantry brigade in World War I and was absorbed into other units in World War II. For two years, his 3,500 troops trained intensively in Okinawa. They began arriving in Vietnam on May 5, 1965. Their first mission was to secure, patrol and neutralize any threat to Bien Hoa Air Base. That day, General Williamson said in an interview with The New York Times, "I am sure my men will want, as I do, to get out for action." Then 47, General Williamson developed tactics for a war with no defined front. 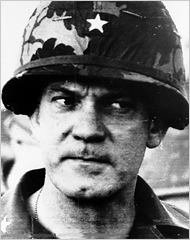 Fighting with South Vietnamese troops, he had his men penetrate the countryside surrounding the base and then worked methodically to expand the perimeter with day and night patrols. The members of the 173rd were among the first soldiers to use M-16s, the lightweight rifle that became the standard for American forces. Hardly a night went by when they were not attacked. They were also the first to go into what the military called Zone D, a flat, eerie jungle filled with dragonflies and Vietcong sniper bullets, to destroy enemy base camps. This successful operation in June 1965 was American troops' first big attack against the Vietcong. In August 1965, General Williamson commanded the 173rd and other American units when they and South Vietnamese troops broke the Communist siege of a Special Forces camp at Duc Co. By September, he told The Times, "The enemy is running from us like a scared rat." The next year, General Williamson led United States troops into the Mekong Delta for the first time. In March 1966, he briefed President Lyndon B. Johnson at Johnson's ranch in Texas. He told the president that morale was high and that the enemy was groggy; he also advised sending more troops. Ellis Warner Williamson was born in the summer of 1918 in Raeford, North Carolina. He served in the North Carolina National Guard during high school and college. In 1940, he graduated from Atlantic Christian College, now Barton College, and was commissioned a Second Lieutenant. In addition to taking advanced courses at military schools and colleges, he received an M.B.A. from Harvard in 1962 and a master's in international affairs from George Washington University in 1963. He became a paratrooper in 1959, and was promoted to Brigadier General in 1963. General Williamson returned from Vietnam in 1966 to be Assistant Commander at the Infantry School at Fort Benning, Georgia. After being promoted to major general, he commanded the Army Training Center at Fort Polk, Louisiana. As chief of the military mission to Iran, General Williamson met regularly with Shah Mohammed Reza Pahlavi and oversaw a quiet but steady influx of American military personnel into Iran. On September 27, 1942, General Williamson married Margaret McNeill, who survives, along with a daughter, Nan V. Williamson of Clyde, North Carolina; a son, Dan, of Pineville, Missouri; and a grandson. He participated in the D-Day landings with the 120th Infantry Regiment and served in the European theater, where he commanded at the platoon, company, battalion and regimental levels. In 1950, he helped plan and participated in the Inchon landing in Korea. Following instructional and staff assignments, he assumed command of the 13th Infantry Regiment at Fort Carson, Colorado, and took the regiment to Germany. In 1959, he became an Army paratrooper. During his 40-year military career, he received a master's degree in business from Harvard University (1962) and a master's degree in international affairs from George Washington University (1963). Promoted to Brigadier General in 1963, he organized the 173rd Airborne Brigade on Okinawa and took the brigade into Vietnam in 1965. His unit was the first U.S. Army ground combat unit to enter the war. In 1966, he became assistant commander at the Infantry School at Fort Benning, Georgia. Promoted to Major General, he assumed command of the U.S. Army Training Center at Fort Polk, Louisiana, and then returned to Vietnam, where he commanded the 25th Infantry Division, known as Tropic Lightning. In 1971, he was designated chief of the U.S. military mission in Iran and personal adviser to the shah of Iran. He retired in 1973. In retirement, he worked as a military affairs consultant and was involved in military and civilian nonprofit community activities. He served on the boards of the Army's Military District of Washington Retiree Council and the Army Distaff Foundation and was active with the Sigholtz-Capital Chapter of the 173rd Airborne Brigade Association. He was a member of the Greater Washington Metropolitan Organ Society. General Williamson's decorations include the Distinguished Service Cross, the Distinguished Service Medal with two oak leaf clusters, the Silver Star with five oak leaf clusters, the Legion of Merit, the Bronze Star Medal and the Purple Heart. Survivors include his wife of 64 years, Margaret Williamson of Arlington; two children, Nan V. Williamson of Clyde, North Carolina, and Dan E. Williamson of Pineville, Missouri; and one grandson. Major General Ellis W. Williamson, new 25th Infantry Division Commander, assumed command during ceremonies held at Cu Chi Saturday morning, August 3, 1968. He replaces Major General F. K. Mearns, who moves to Saigon to become Deputy Commander, II Field Force and Commanding General, Capital Military Assistance Command. General Williamson was born in Raeford, North Carolina on June 2, 1918. Through high school and college, he was a member of the 120th Infantry Regiment, North Carolina National Guard. Upon graduation from Atlantic Christian College with a Bachelor of Arts degree in 1940, he entered the Federal Service with his unit. General Williamson remained with the 120th Infantry Regiment throughout World War II serving in rank from Private to Colonel. Following commissioning as a Second Lieutenant of Infantry in March, 1941, he served as a commander at platoon, company, battalion and regimental level and as a battalion and regimental staff officer. He was regimental Commander at the time of the unit's return to state control in January, 1946. The same year, he was integrated into the Regular Army. For three years he was an instructor of tactics at the Infantry School. He graduated from the Command and General Staff College in 1950 and was assigned to Headquarter X Corps in Korea. He participated in the amphibious landing at Inchon as Assistant Operations Officer, X Corps, later becoming Operations Officer. General Williamson was assigned in 1952, to the Office of the Army Chief of Staff, next attended the Armed Forces Staff College, and then returned to Washington for duty in the Office of the Secretary of Defense. He assumed command of the 13th Infantry Regiment at Fort Carson, Colorado, in 1956 and took this unit to Germany on Operation Gyroscope. After 27 months as Regimental Commander, he became Chief of the Training Division, Headquarters, 7th U.S. Army. He returned home to qualify as a parachutist and attend the National War College. Following three years in the Office of the Deputy Chief of Staff for Personnel at Department of the Army, General Williamson assumed command of the 173d Airborne Brigade (Separate) upon its activation in Okinawa in July 1963. He organized and trained this unit for its mission as Pacific Theatre Reserve Force during the next two years. After extensive training on the Pacific islands of Okinawa, Taiwan, Irimote, and the Philippines as well as in Korea and Thailand, General Williamson's brigade, in May, 1965, became the first U.S. Army ground combat unit to enter the conflict in Vietnam. Under his command, the 173d Airborne Brigade (Separate) participated in actions designed to protect friendly installations and to destroy enemy forces in the Bien Hoa-Vung Tau-Ben Cat areas and into the mountain plateau areas of Pleiku and Kontum. In addition to the 173d Airborne Brigade (Separate), General Williamson's command in Vietnam included all Australian and New Zealand combat elements, plus some Vietnamese units. He served in five campaigns in Europe during World War II and seven during the Korean conflict. General Williamson assumed command of the U.S. Army Training Center, Fort Polk, Louisiana, November 1, 1966, and comes to the 25th Infantry Division from that post. The Distinguished Service Cross is presented to Ellis W. Williamson, Brigadier General, U.S. Army, for extraordinary heroism in action in connection with military operations involving conflict with an armed hostile force in the Republic of Vietnam while commanding the 173d Airborne Brigade (Separate). Brigadier General Williamson distinguished himself by extraordinary heroism on 9 November 1965, while directing military operations after a Viet Cong element of regimental size launched a vicious attack on personnel of the First Battalion (Airborne), 503d Infantry on the day before. When the friendly forces sustained heavy casualties after engaging wave upon wave of fanatical hostile troops, General Williamson directed the pilot of his aircraft to attempt a descent into a 250-foot funnel through a jungle canopy to evacuate the wounded and the dead. Although no other helicopter was able to negotiate the pass, a successful landing was made. Once upon the ground, General Williamson exposed himself to the hostile gun fire, made his way among the front line troops, and gave assistance and encouragement to both the wounded and the defenders. Lending his own aircraft to aid in the evacuation of the wounded from the battlefield, he elected to remain in the combat zone and personally directed the further tactical deployment of the remaining units. His dynamic leadership, indomitable courage, and determination paved the way for the landing of evacuation helicopters, resulted in the removal of a great number of wounded and dead, and inspired the remaining troops with the spirit needed to achieve victory. General Williamson's extraordinary heroism on the battlefield and his profound concern for the individual soldier are in the highest traditions of the United States Army and reflect great credit upon himself and the armed forces of his country. The President of the United States of America, authorized by Act of Congress July 9, 1918, takes pleasure in presenting the Army Distinguished Service Medal to Brigadier General Ellis W. Williamson (ASN: 0-34484), United States Army, for exceptionally meritorious and distinguished services to the Government of the United States, in a duty of great responsibility as Commanding General of the 173d Airborne Brigade (Separate), in the Republic of Vietnam, during the period from May 1965 to February 1966. The President of the United States of America, authorized by Act of Congress July 9, 1918, takes pleasure in presenting a Bronze Oak Leaf Cluster in lieu of a Second Award of the Army Distinguished Service Medal to Major General Ellis W. Williamson (ASN: 0-34484), United States Army, for exceptionally meritorious and distinguished services to the Government of the United States, in a duty of great responsibility, during the period from November 1966 through July 1968. Battle of St Lô (7 - 14 July 1944) in the west of the landing zones was as important to the Americans as the town of Caen was to the Anglo/Canadian Forces in the east. Both towns were the main crossroad towns into Normandy through which all major road led. Without these towns and the road networks they give access to, the Allied Armies were going nowhere. The Germans recognized this and set up most of their Armoured forces around Caen where the open countryside better suited their armour protection and longer range of their guns. The forces used by the Germans for the defense of St Lô were the 3rd Parachute Division and the 352nd Infantry Division. The German Parachute divisions were the elite infantry units of the German Army, showing the importance the attached to the defense of St Lô. SS units were not used as all the SS formations were armoured and the terrain around the town did not lend itself to armoured warfare. Experts in camoflague and trained to operate in small groups or alone, the German Paratroopers used the hedgerow terrain expertly to their advantage and did everything in their power to exact a heavy price from the Americans for every meter of ground captured. The new attack of First Army was delivered on a ten-mile front, with the main effort by the 29th Division aiming at the ridges along the St-Lô-Bayeux highway and then at St-Lô itself. On its right, the 35th Division was to exert pressure between the Vire and the Isigny-St-Lô highway; its objective was the right bank of the Vire, in the elbow made by that winding stream just northwest of St-Lô. Advance here would help the 30th Division on the other side of the Vire, by covering its flank along the river. On the 29th Division's left, an assault against Hill 192 would be made by the 2d Division of V Corps. Capture of this dominating observation point would be of prime importance in the attack on St-Lô.